Hit the lottery and pay them off in a lump sum! Since winning the lottery is not likely, most people make the minimum payments to their creditors. Requiring small minimum payments is a trick the credit card industry has been fooling consumers with for a long time. If you make just the minimum payment on your cards, it could take 10-15 years and end up costing you 3-4 times the original amount you borrowed because of the interest rates and hidden fees. Debt Management (formerly referred to as Credit Counseling) makes sense if you can afford the required payment of the program. Legitimate DM programs will arrange repayment plans with each of your creditors that will lower your interest and fees and usually allow you to pay off all of your cards in about 48 months. If you can afford the payment, this makes sense. Debt Settlement is for those who cannot do any of the above. Legitimate Debt Settlement companies will negotiate with your creditors to satisfy the debt for around 50% of the debt. Your credit report will show this debt as having been charged off, but then it will show that it has been “paid as agree” or “account settled”. If you cannot qualify for any of these programs, then bankruptcy may be your best or only option. Be sure to seek the advice of a competent bankruptcy attorney. It’s not a bad idea to get a couple of opinions when looking into bankruptcy. Do you need help deciding what is the right option for you? Our Solutions Specialists are ready to review your current financial situation with you and help you decide which option is the right fit for you. 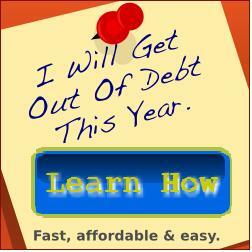 Give us a call or click on the link below for a FREE Debt Elimination Analysis today!